Now, I’m going to go out on a massive limb and assume the broadly classical liberal readership of this magazine has as little time for this brand of crass, cynical mudslinging as I do. The headline of the Sun today proclaiming him a ‘pacifist’ with barely restrained contempt, as if that’s somehow a bad thing, was just beyond the pale. But what the braying forces of the left don’t seem to understand in their crusades against the ‘media hatchet job’ on Corbyn, is that this was all depressingly inevitable, and it’s precisely why it was a silly idea to vote for him as leader in the first place. The British media might have a little bit of a right leaning bent to it overall, but that doesn’t mean Corbyn isn’t a supremely easy target. They might have a vested interest in being out to get him, but that doesn’t make it a conspiracy. The media, first and foremost, are the media, and want to fill their papers and websites every day of the week. Jeremy Corbyn, in his entire career prior to becoming leader in and some of his tactically unwise decisions since taking up the job, has painted a target on his back a mile wide, and it’s just never going to go away. 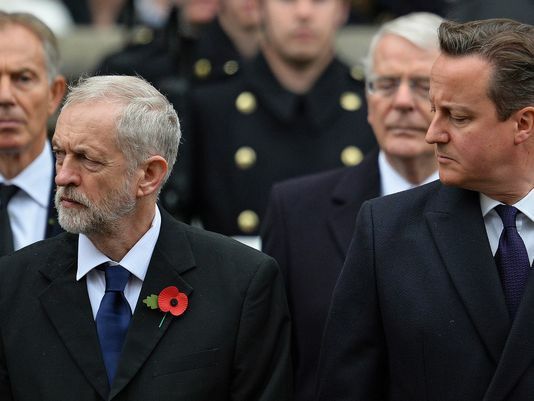 Does Jeremy Corbyn have no respect for the war dead? Is he a treacherous terrorist sympathizer? Does he, as the old barb goes, truly hate Britain? Somehow I highly doubt it, and besides, I often find myself ‘hating Britain’ too, as some would have it defined. I’m a republican, just like Corbyn. I too, would probably rather be wearing a white poppy and, all in all, I rather think the mindless worship of militarism might have gone a little far in this country of ours. But that doesn’t matter. What matters in Corbyn’s case is it is so, so hilariously easy to portray Corbyn as some sort of beardy, pinko traitor and frankly, he only has himself to blame. His consistent refusal to put proper water between himself and controversial figures, the wholly avoidable, needlessly provocative gaffes regarding the Queen, the flip flopping over Trident, the ‘I wouldn’t push the button’ comment. The list goes on and on. All of them were incidents where, since becoming leader, Corbyn gave those who would seek to bring him down a gift wrapped excuse to call him Karl Marx in a beige windbreaker and have it seem vaguely plausible. Everything, right down to the beard and the clothes and the little Breton cap, contributes to this broader narrative. It might make him honest and authentic and without pretence, and that might well appeal to a lot of people. But it also makes it supremely easy for those who are so inclined to paint a media portrait he will never be able to escape. Jeremy Corbyn is the Eddard Stark of British politics. Honourable to the point of stupidity. Which politically, will get him killed. I don’t agree with the man on much, as a disclaimer. But I think one can look from a neutral perspective when it comes to simple matters of political tactics. He is simply not very good at them. People on the internet can complain and stamp their feet as much as they like. But it’ll be his undoing, and it’s what his supporters chose. The die is firmly cast. Jeremy Corbyn’s tie will never quite be straight enough. His jacket never quite smart enough. He will never look quite respectful enough or bow quite low enough. He will never be able to convince people with enough certainty that they and their families will be safe with him in charge of our nation’s defences. If any of you were in any doubt that Jeremy Corbyn will not win the 2020 General Election, this should be enough to convince you. You can call it a press conspiracy, but it won’t be. It’ll be a narrative which Corbyn and his defenders allowed to be crafted. It wasn’t difficult to craft, and when presented to the kinds of voter Corbyn needs to win the election, it will lead to a rejection of him and his party. The truth, in actuality, has nothing to do with it. But you already knew that, didn’t you? People often complain that our politicians are blank canvasses. Mirrors you can see your own reflection in. Boring, impersonal, cardboard cut-out people. 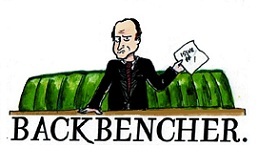 One night in May five years from now, assuming Jeremy makes it that long as leader, we’re going to see why.